RRB Bilaspur Group D Admit Card 2018: Railway Recruitment Board Group D Exam Dates are Out Now!!! The board is going to release RRB Bilaspur Group D Admit Card 2018 which is going to be held on 17-09-2018. Aspirants who get shortlisted for ग्रुप डी Exam they now can download RRB Bilaspur Admit Card here. Candidates can download RRB Bilaspur Admit Card 2018 from 13-09-2018 onwards by hitting the link active below after the official announcement. To download RRB Bilaspur Group D Admit Card 2018-19 candidates either have to visit the official website of Railway Recruitment Board or they can follow the below mentioned procedure by the team members of www.privatejobshub.in. How to download RRB Bilaspur Hall Ticket? Initially you should go to the official web portal of Railway Recruitment Board, Bilaspur that is www.rrbbilaspur.gov.in. Now you should select “CEN No. 02/2018 (Group-D) - Important Notice e-Call Letter Download” link in concern to RRB Bilaspur Group-D Admit Card. After that, a page will come up having the link of RRB Bilaspur Admit Card. Afterwards, you will reach on new page here you need to enter all asked details in search box for RRB Admit Card Bilaspur. Then check all details and press on “Login” button to check Railway Bilaspur Group-D Admit Card. As you press this link, within few seconds, Railway Recruitment Board Bilaspur Admit Card will be displayed. 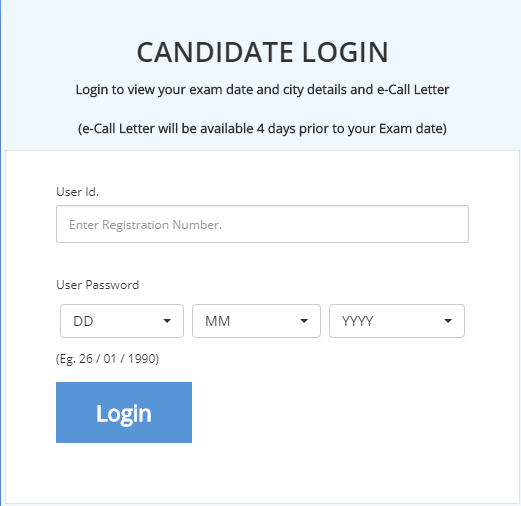 Aspirants can download RRB Bilaspur Admit Card. At end, take the print out of RRB Bilaspur Group-D Hall Ticket for appearing in the examination. electronic gadgets in the examination hall. रेलवे बिलासपुर प्रवेश पत्र के साथ सबूत आवश्यक है? Candidates may visit the Official Link to get their RRB Bilaspur Group D Admit Card 2018-19. You may stay in touch with our web portal to get latest updates as we update our pages time to time. You may also subscribe our free mail service to get latest updates directly to your mail box.